RUSH: There’s a couple things I want to get to here before the program ends. One of them: “Why Trump is More Popular Than Ever.” This is from TheWeek.com. And it’s essentially a guy saying if the media would just stop writing about the guy, then his popularity would start plummeting again. We’ve tenured him into a celebrity. We’ve gotta stop talking about Trump. We journalists have gotta stop making Trump the focus of the day. And if we don’t, Trump’s popularity is gonna continue to increase because all we’re doing is driving people to him with this never-ending, relentless, childish attack after attack after attack. 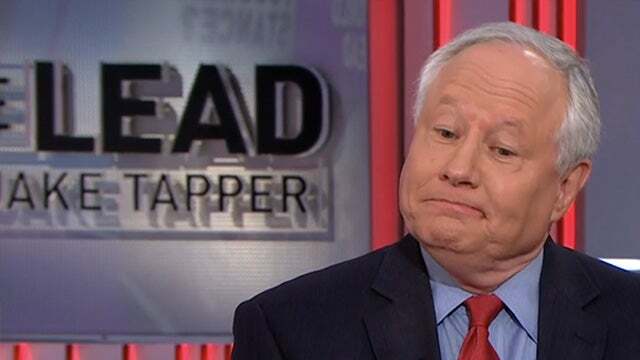 RUSH: Bill Kristol, one of the leading Never Trumpers… I think most of the Never Trumpers in America work at the Weekly Standard, although there are some scattered at National Review and the New Republic and various other publications. Bill Kristol tweeted something this morning that I think demonstrates the shallowness and the destructive nature of voting for somebody you imagined you would personally like and voting against someone you personally dislike. Here’s Kristol’s tweet: “I am no fan of the Obama administration, and I intend to vote for a non-Trump –” I think this is an old tweet. I’m not sure actually when it is. It might be current. It’s not specified. But it doesn’t matter because it applies. Just listen. “I’m no fan of the Obama administration and intend to vote for a non-Trump Republican in 2020, but even I’ll admit that it would be kind of great if Michelle Obama ran in 2020 and crushed Trump.” Bill Kristol, supposed conservative ideological leader, what good is this if he says he’s gonna openly vote for Michelle Obama? And you know why? Because of this Trump tweet. “Thank you to Rasmussen for the honest polling. Just hit 50%, which is higher than cheating Obama at the same time in his administration.” That tweet so offended Bill Kristol that he tweeted, “I’m no fan of Obama and intend to vote for a non-Trump Republican in 2020, but even I’ll admit in light of Trump’s tweet that it would be kind of great if Michelle Obama ran in 2020 and crushed Trump.” This is so personal, it’s gotten childishly personal now.